One of the ultimate comfort foods, potatoes satisfy whether simply baked and smothered in butter or all fancied up in a gratin dish. I had some extra raclette cheese hanging around one day and a bag of potatoes and, voilà, my baked potato with cheese recipe was born. Scrub your potatoes, leaving the skin on. Make about four slices crosswise in each potato, being careful not to cut all the way through. Rub a tablespoon of olive oil on each potato and season with salt and pepper. 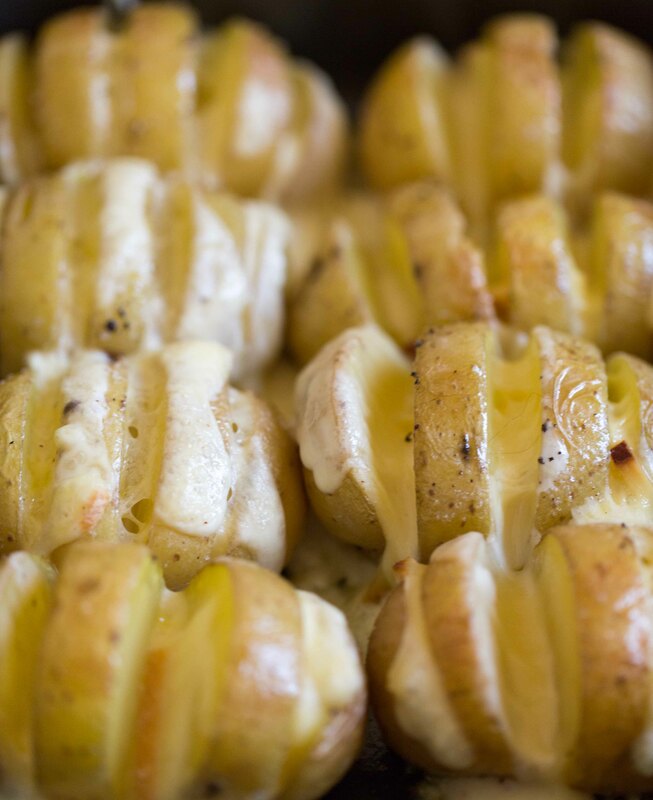 Place potatoes in a small roasting tin, cut sides up, and bake for about 40 minutes, or until a knife can be easily inserted. Remove the potatoes from the oven and tuck a piece of cheese into each slice. Return to the oven for a few minutes, or until the cheese is melted. Serve immediately with a sprinkle of freshly chopped chives.